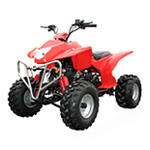 We carry a huge selection of ATV Parts, Scooter Parts, Dirt Bike Parts, Go Kart Parts, Pocket Bike Parts for most Chinese models like Roketa, Baja, Jonway, Coolster, TaoTao, Kinroad, SSR, Supermach...HUGE Discounts! Save up to 50% off. 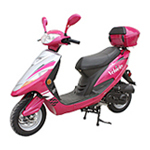 We buy exclusively from Chinese manufacturers who produce OEM Parts & OEM Accessories. Everything you see on Motopartscenter.com is made in China, and now you can buy these OEM Parts at wholesale prices, right here in our online shop. All of the products are brand new, top quality OEM Parts, absolutely no closeouts, used parts, or counterfeits. We are dedicated to providing you with the standard quality products. We have a full range of parts for all Chinese brand imports. All the parts in our warehouse are carefully selected from manufactures and they are durable in use. Shipping direct from China or US warehouse to major destinations (Europe, US, Australia, etc.) typically takes only 4-7 days. Goods are shipped out from our warehouse stock typically within 1 day of your order payment. Shipping is by courier such as FedEx, UPS, DHL, by air mail, or by bulk freight forwarder. We regards "clients foremost, credit as the foundation" as our belief. Importance on total customer satisfaction. We aspire to offer our services to the highest standards of business found only in the worlds best-run companies. Our customer service department focus on efficiency and aims to solve any problem you meet with and give you reply at the first time. 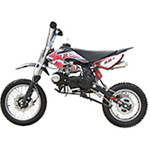 At present we have 2400 products of over 300 motorcycle types made by the main domestic motorcycle manufacturers of China. We offer a huge inventory with a selection of the industry's finest products, available at the best prices. 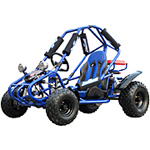 We are dedicated to selling any and all Chinese Motor Parts for ATV, Go Kart, Dirt Bike, Moped Scooter & Pocket Bike. 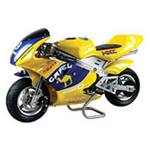 We can also provide the products that the website not display as long as you can offer us your bike model, engine brand, engine size (cc) and dimension.